I think I have a good idea. What do I do with it to get started? 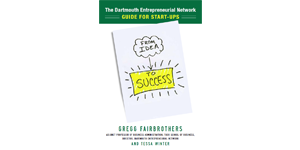 Gregg Fairbrothers: Ideas don’t start to have value until you execute, that is, until you do something with them. What are your personal goals for pursuing your idea. Not all first-time entrepreneurs stop to really think this through. If you have that thought out, the first step is talking to the market: are you convinced people will pay for what you have in mind? What do you want to do with the idea? Do you really want to pursue it? What are your personal goals? Make money? Why would this be important to you? Does it create value? What does value mean for you? What do you want success to look like when you’re done? Too many people skip this step in starting a business and end up on a journey to a destination they never wanted to reach. If you want to pursue your idea, what you have is opportunity and a bundle of risks that you will fail. What are the different things that could kill your idea if it doesn’t work out? These are the risks. Can you put them in order so that the most likely to be a problem and the cheapest/easiest to resolve can be done first? There’s no glory in investing a ton of time and money removing an expensive risk, only to have a simple, cheap risk kill the idea later anyway. Get going: talk to customers. Get inside their heads. Prove to yourself there is a ready market and that this is the best, most competitive solution. And get their ideas about the best solutions; they’re often better than yours. Start building and doing; the rest will come, including the Plan. (Actually, in all likelihood there will be many Plans.) And start learning all the other things you need to know. … in that order. Mac Dougherty (Founding CEO, Cognitive Electronics): The first thing you should do is get out and talk with people about your idea. A mistake that first time entrepreneurs often make is to keep their idea a secret and work on it without talking to others. That’s probably the worst thing you can do. A startup is an organization trying to find a scalable business model. You can either try to do that after you’ve built a product, or you can start doing that right from the get go. Tons of startups have failed because they built a well engineered product that nobody wants to buy. You should get out and talk with potential customers about your idea, figure out if they have the problem your idea solves, whether they’ve already tried to solve it and how, whether they have budget for it. You should also get out and talk with people who know how to build the kind of thing that you are thinking about. There’s no quicker way to identify obstacles. Often, there are parts of your idea that you won’t be able to talk about, intellectual property matters, etc. One of your keys tasks early on is to figure out how to talk with people about your idea while preserving your IP options. Planning is no substitute for getting started, interactions with customers and potential customers are critically important. Their feedback is much more important than any plan you might come up with. The process of doing a startup is fundamentally a learning process. It is very difficult to learn inside the office. ← I want to be an entrepreneur but don’t think I have a good idea. What should I do?